Jane Austen was lucky to be born into a family that believed in education for girls and boys alike. Jane was well educated and, crucially, had access to her father’s extensive library of books in her childhood home of Steventon (owned by distant cousins, the Knight family). Jane Austen. Credit: Caroline Jane Knight. The library of books provided knowledge and inspiration to the young Jane, a prolific writer in her youth. When Jane was 26, her father retired and moved his wife and daughters to Bath, selling most of his extensive library as a consequence. The years that followed were not Jane’s happiest, and without easy access to a library of books, Jane must have been frustrated. When Jane’s father died after only a couple of years in Bath, Jane’s writing all but stopped and didn’t start again until four years later when she moved to Chawton, the Hampshire seat of her brother Edward, who had been adopted by the Knight family and inherited the estates of Steventon and Chawton in Hampshire, and Godmersham Park in Kent. Chawton Cottage (now known as the Jane Austen's House Museum). Credit: Caroline Jane Knight. On July 9, 1809, Jane Austen moved into Chawton Cottage with her mother, her sister Cassandra and her close friend Martha Lloyd. Within a month of arriving in Chawton (an unpublished author), Jane had started writing in earnest again and within 18 months had published Sense & Sensibility. Life in Chawton gave Jane the security and privacy she needed to write and free access to the Knight family library housed at Chawton House, her brother’s Hampshire home, just 400 metres from the cottage. There is no doubt that access to the extensive library her brother inherited, and detailed estate records, were a great source of information and inspiration for Jane. In her eight short years in Chawton before her premature death in 1817, Jane also published Pride & Prejudice, Mansfield Park and Emma. Persuasion and Northanger Abbey were published shortly after Jane died. In 1812, three years after Jane settled in Chawton, Edward Austen changed his name, and the name of his descendants, from Austen to Knight ensuring the Knight name remained with the Chawton estate – it was a condition of his inheritance. The Knight family continued to call Chawton House home until 1988. Edward Austen Knight. Credit: Caroline Jane Knight. I am Edward Austen’s 4th great-granddaughter, Jane Austen’s 5th great-niece, and the last descendant of the Austen family to grow up at Chawton House. I had an extraordinary childhood steeped in four hundred years of Knight and Austen family history and, with my family, welcomed thousands of visitors every year to Jane Austen’s literary home. Caroline as a baby. Credit: Caroline Jane Knight. The heart of the house was the library which was used as my grandparent’s sitting room and housed the Knight family collection of 3,000 books, compiled over four centuries and fifteen generations. The books in the collection, complete with bookplates, showed the tastes, interests and learning of my ancestors and centuries of learning and exploration. Most of the books were extremely old, and many were in languages I didn’t understand. Tales of foreign travel, illustrated natural histories, books of letters, volumes of poetry, novels, and books on politics, law, sport, history, estate management, art, and religion were interspersed with estate records, family history and our Chawton heritage. Many of them were complete with a bookplate inside the front cover, indicating which of my ancestors had been their original owner. Edward Austen Knight's bookplate. Credit: Caroline Jane Knight. What was hidden from the visiting public were the literacy challenges faced by my own father, Jeremy Knight (Edward Austen’s third great-grandson), and my brother, Paul Edward Knight (Edward Austen’s fourth great-grandson). My father could barely read or write when I was a child and it was only when Paul was diagnosed with dyslexia that my family’s literacy issues were understood and managed. 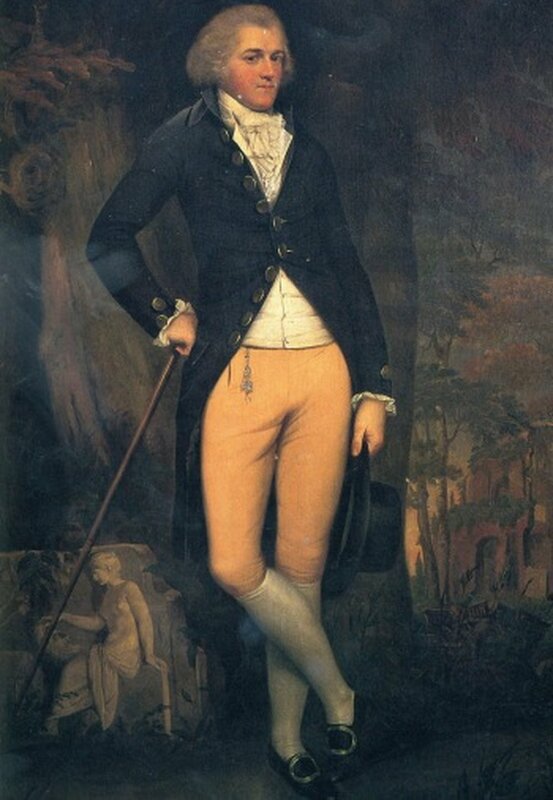 When I was 17, my grandfather, Edward Knight III, died and Chawton House could no longer be kept as the family home of my branch of the Knight family, the Austens. It was heart breaking and I vowed never to talk about Chawton or Jane Austen again. But the 2013 bicentenary celebrations of the publishing of Pride & Prejudice brought into sharp focus just how much of a global phenomenon great aunt Jane really has become, particularly in the last ten years. The interest in my family’s story has taken us all by surprise and I couldn’t ignore the philanthropic opportunity. Pride & Prejudice. Credit: Caroline Jane Knight. Libraries are as important for literacy today as they were for Jane Austen two hundred years ago. Jane’s education, literacy and knowledge were supported by access to her father’s library and my family’s library at Chawton House. The Jane Austen community is a wonderfully generous group of people, with many writers and avid readers who understand the importance of literacy in their own lives and in the lives of children all over the world. Since it opened to the public in 2003, Chawton House has become a major visitor attraction for Jane Austen fans and scholars alike. As well as the Knight family library, Chawton House is home to a unique collection of some 10,000 volumes of early women’s writing: the women who were Jane Austen’s contemporaries and foremothers. Chawton House. Credit: Caroline Jane Knight. I now live in Melbourne with my husband, dogs and chickens. I am a business owner, an author and speaker, and run the literacy foundation. I do hope you’ll join me in supporting literacy - in honour of Jane. Our founder, Caroline Jane Knight. Credit: Caroline Jane Knight. © Caroline Jane Knight - Jane Austen's fifth great-niece and the last Austen to grow up at Chawton House on the ancestral estate where Jane herself lived and wrote. 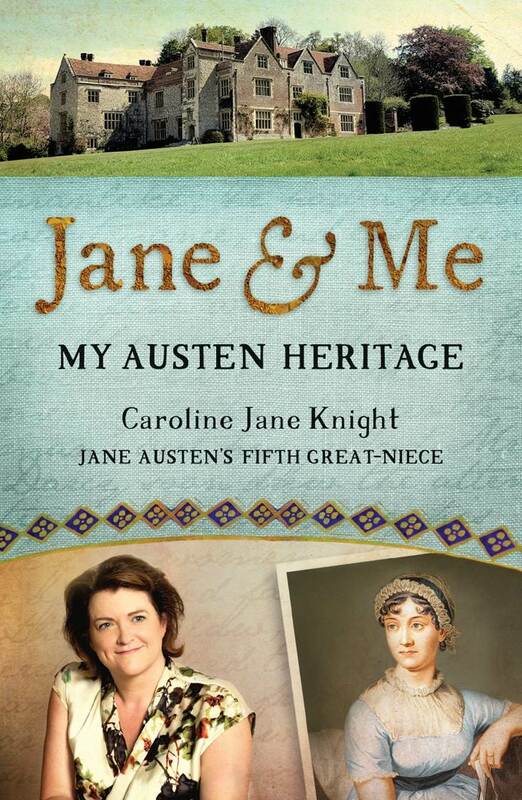 You can read about Caroline's extraordinary childhood in JANE & ME: MY AUSTEN HERITAGE, available in PAPERBACK, HARDBACK, E-BOOK and AUDIOBOOK at all good online retailers. 15% of any profits made are donated to the Jane Austen Literacy Foundation. If you have enjoyed this article, don't forget to SUBSCRIBE at the bottom of this page!